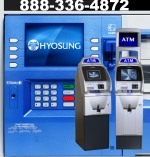 Nautilus Hyosung has been manufacturing ATMs for many years now. The MX4000w is one of the most innovative ATMs we sell. When you need an ATM but space is limited, the MX4000w ATM is the answer to your problems. It is designed to mount on the side of a wall. Or, as in the photos shown below, you could have the MX4000 installed on some unused counter space. The unique design allows any business with limited space to own an ATM. The MX4000w is designed for low security locations. It is meant to be installed in areas that do not require security monitoring. The MX4000 has a key lock mechanism instead of a spin dial lock or e-lock. It only weighs 110lbs. It is not intended to be installed into areas that are prone to theft. 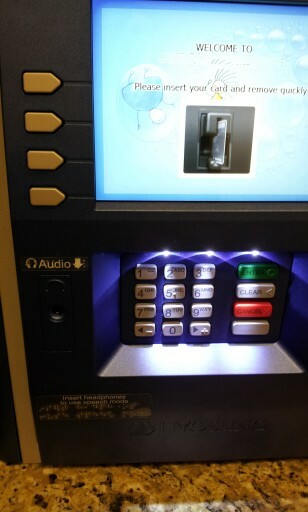 The MX4000 ATM is very unique among the ATMs we sell. It is a niche machine. It has it's purpose. 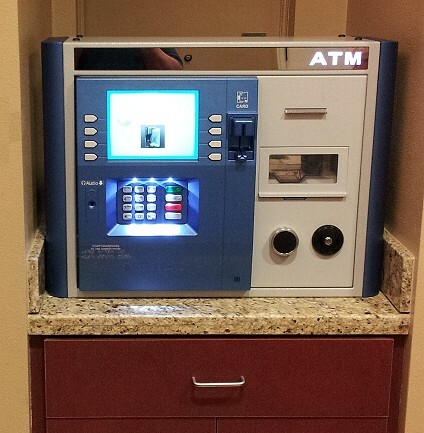 It is a space saving indoor ATM for safe public or private locations. It has it's limitations though. The operating temperature is 41 degrees F. to 95 degrees F. It only holds 500 notes and can only dispense 20 bills per transaction, or $400. © Copyright 2009 IndoorATM.com. All Rights Reserved.